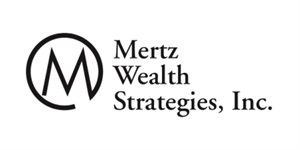 WELCOME TO MERTZ WEALTH STRATEGIES, A FINANCIAL ADVICE CENTER. We believe great advice comes from individuals, not large companies. 6 year Five Star Wealth Manager award winner. "It is not what you earn, but what you keep that matters." Our mission is to help create and maintain wealth for our clients through long-term, effective, asset management. We will build client relationships based on trust, competent professional service, continual communication, and prompt personal service. We will assist our clients in setting financial goals, monitoring these goals, and keeping them informed of the process and achievement of the goals. We have equipped our business with quality financial services technology and utilize our capabilities to the fullest. These investments in our business have allowed us to give our clients intensely personalized asset analysis, asset allocation, and investment services. Our success is based on research and personalized service. It is for these reasons that new clients come to us and current clients stay with us. Thank you for visiting our virtual office. If you’d like a face-to-face, no-obligation appointment to see what we can do for you, please give us a call at 952-831-5660 or contact Jim at Jim@mertzwealth.com. Securities and advisory services offered through LPL Financial, a registered investment advisor. Member FINRA www.finra.org / SIPC www.sipc.org.